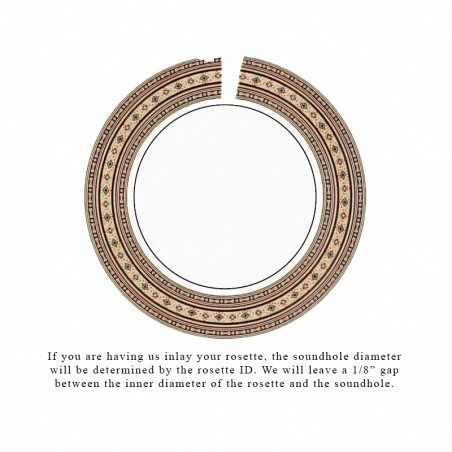 Marquetry rosettes are not a full circle - the gap is intended to be placed beneath the fingerboard. This has the added benefit of allowing some leeway in fitting the rosette after you rout the channel. 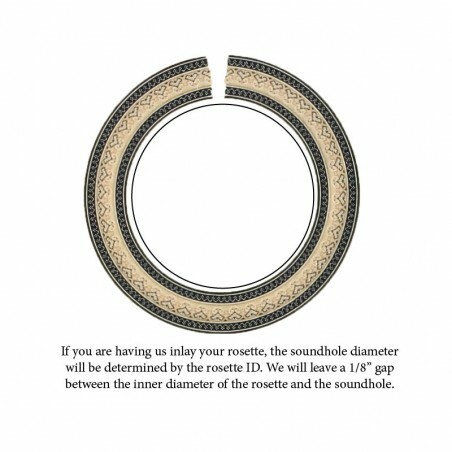 Always wait for your rosette to arrive before routing the rosette channel! Rosettes tend to warp easily, but don’t let this concern you. Applying a small amount of heat (blow dryer) and weighting them should flatten them right out if this causes you any concern.